Starting work on my next project. 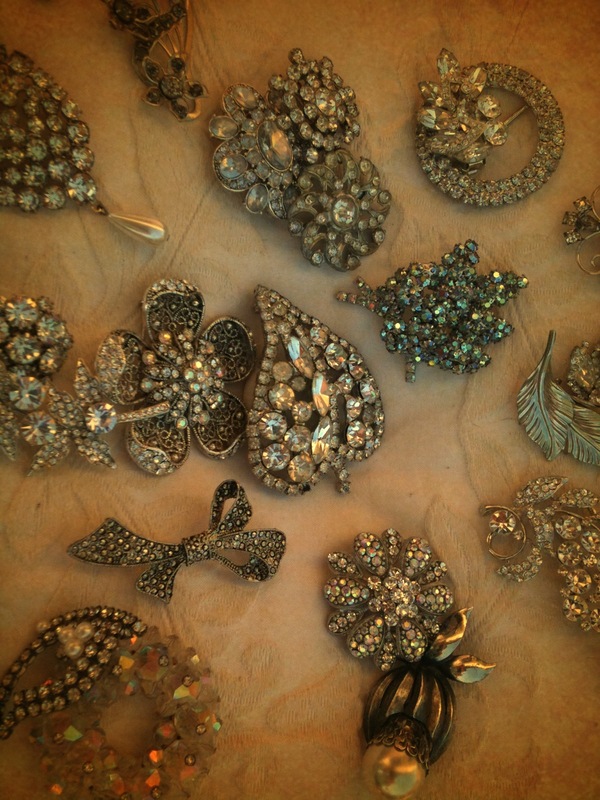 Designing a Vintage Brooch Bouquet worthy of a castle… One of my favorite elements in creating brooch bouquets is the hunt for just the right pieces to reflect the brides dream and the design in my head. Not always easy, but I am determined, leaving no stone (brooch) unturned 🙂 This is a pretty good start! ← Holly Lauren Jewelry… welcome back!